Two Oceans and Comrades Marathon winner, Caroline Wostmann, leads a stellar list of finalists for the 10th gsport Awards, which has been confirmed following a week-long judging process involving leading voices in South African sport and media. Wostmann made history this year when she became only the fourth athlete ever to win South Africa’s two most famous ultra-marathons – the Two Oceans Marathon and the Comrades Marathon – in the same year. She is nominated for the gsport Athlete of the Year award, alongside current Rhythmic Gymnastics Africa Champion, Grace Legote and the champion rowing pair of Naydene Smith/Lee-Ann Persse. Voting is now open on gsport.co.za until Friday, 7 August to determine the sixth vote in gsport’s 2015 Judging Panel, this year including Hockey legend, Pietie Coetzee; Sunday Times sports editor, Bareng Batho Kortjaas; Deputy sports editor of SABC TV News, Janet Whitton; women’s sports activist and publisher, Cheryl Roberts, alongside long time judge and former gsport Style Star winner, Uyanda Mbuli. In the Athlete of the Year with Disability category, Ilse Hayes Carstens, the world’s fastest female Paralympian this year will challenge World Top 8 wheelchair tennis ace, Kgothatso Montjane, and long time disabled sports all-rounder, Rosabelle Riese, who Team SA flagbearer at Athens 2004,and who continues to excel in national colours. In the Junior Athlete of the Year category, 14 year old Nokwande Hlongwane, who is number three in the world of junior wheelchair tennis, is shortlisted alongside Youth Olympic Games gold medallist, Gezelle Magerman, and junior canoeing star and World Champs hopeful, Kayla de Beer. In this year’s powerhouse Woman of the Year category, Kaizer Chiefs Marketing Director, Jessica Motaung, Orlando Pirates media officer, Thandi Merafe, and Titans Cricket COO, Patricia Kambarami will battle it out for top honours. 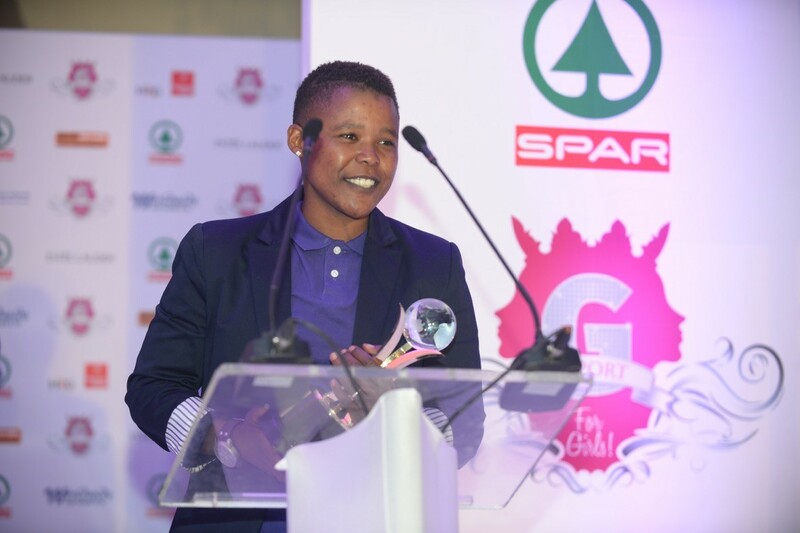 In the gsport Woman in Media – Television category, freelance camerawoman, Ronnie Tippett is up against SuperSport colleagues, presenter Motshidisi Mohono, and producer/director, Nono Cele. Channel Africa sports presenter, Rachel Makhura is nominated in the Woman in Media – Radio category alongside EWN Sport Editor, Cindy Poluta and SABC Radio presenter Thina Ramantswana. In the Woman in Media – Print Category, City Press writer, Reabetswe Mashigo will take on two former gsport Award winners, Formula One analyst, Natalie le Clue, and Daily Sun sports reporter, Busisiwe Mokwena. Mashigo also finds herself shortlisted for the Woman in Media – Social Media Category, where she is up against SuperSport social media coordinator, Rikashni Rangasamy and Netball South Africa social media reporter, Nozibusiso Sibiya. Rhythmic Gymnastics coach, Tatiana Lavrentchouk-Vizer is shortlisted with top wheelchair tennis coach, Khotso Mashego, and netball coach and mentor, Mampho Tsotetsi, in the Coach of the Year category. In the gsport Style Star of the Year category, running sensation, Mapaseka Makhanya, is shortlisted with women’s sports blogger, Ntando Stemmet and break out star, Nomzamo Mbatha. In a new category, Supporter of the Year, Orlando Pirates’ number one fan, Mama Joy, is a finalist alongside Carl Pasio and Gugu Zulu, who were both nominated by their wives for being their biggest supporters. The Volunteer of the Year category will be contested by motorsport development champion, Michelle Smith, Kagiso sports enthusiast Londiwe Hlatswayo and Gauteng women’s cricket volunteer, Nomsa Tsime.